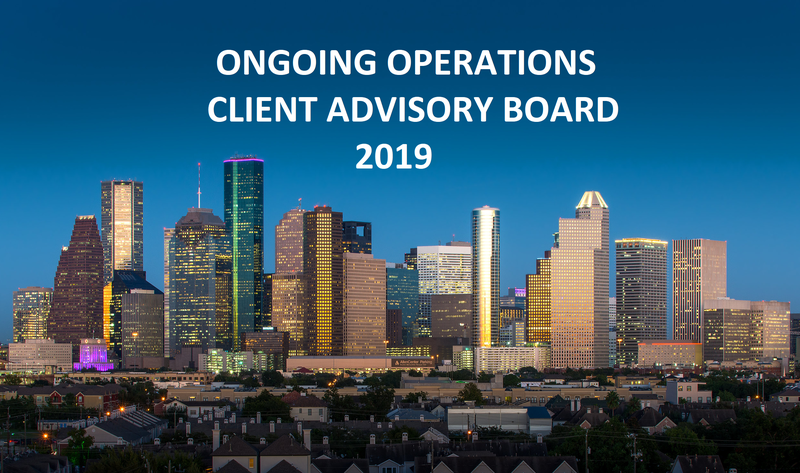 Ongoing Operations will host its annual client advisory board in Houston, TX June 18th-19th. Your invitation should have included all the details you need to make your travel arrangements. We look forward to seeing you there.